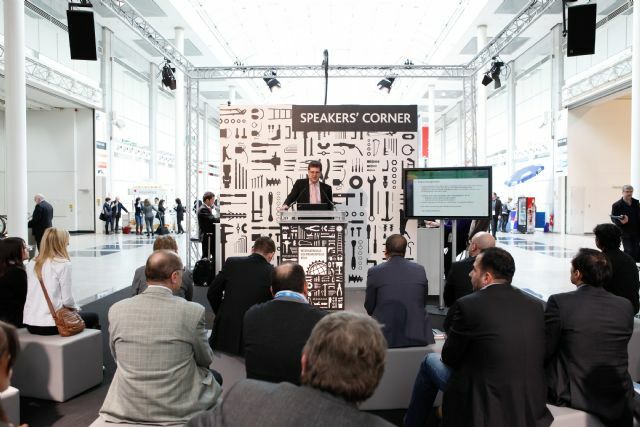 Driven by operators' growing optimism towards brighter economic future across the EU, International Hardware Fair Cologne (IHF Cologne) 2014, held March 9-12, in Germany, saw increasing exhibitors to again confirm its lead globally as a trade fair for hardware products. 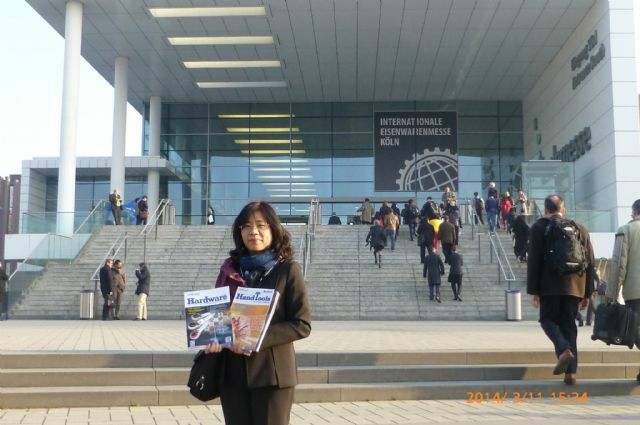 CENS was present at IHF Cologne 2014 March 9-12 in Germany. IHF Cologne 2014 occupied some 142,500 square meters to accommodate 2,873 exhibitors from over 50 countries, compared to 2,663 exhibitors in the 2012 edition, according to the organizer, Koelnmesse GmbH. The event also drew more than 50,000 visitors and buyers from 136 nations. According to a report by the organizer, almost 73% of those interviewed were involved in procurement decisions; 79% of the visitors were either satisfied or quite satisfied with the exhibits; 78% of the trade visitors were either satisfied or quite satisfied as far as achieving the aim of their visit; and more than 90% of the trade fair guests would definitely or probably recommend the event to business acquaintances. 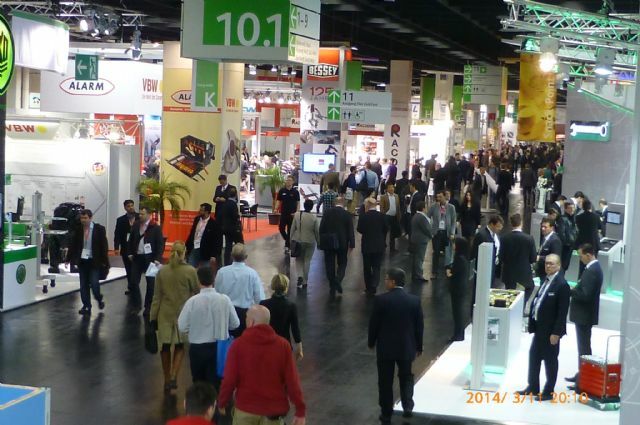 More than 2,700 exhibitors and 50,000 visitors took part in IHF Cologne 2014. Although the EU's economy got off to a modest start in Q1, 2014, when GDP edged up by only 0.3% yearly, the latest report by the European Commission indicates that the recovery is very likely to gain significant momentum starting in 2015, and GDP in the EU bloc will grow by 1.6% this year and 2.0% in 2015. Meanwhile, Euro-wide GDP will rise by 1.2% in 2014 and 1.7% in 2015. Making up nearly 30% of the EU bloc's collective output, Germany will likely drive the euro zone's recovery this year, when the country's GDP growth is predicted at 1.8%. In 2015, France, Italy and Spain are believed to post better economic growths to further fuel the uptrend. This year's IHF Cologne was not distracted from its tradition of presenting a diverse line of exhibits, covering manual hand-held tools, power tools and accessories, workshop and factory equipment, protective equipment, fixing and fastening technologies, furniture and small fittings, decorative metalware, window fittings, door locks, door fittings, keys, safeguarding systems, chemical products, interiors and furnishings, sanitaryware and fittings, building materials, elements and accessories, outside structures, automotive supplies and accessories, two-wheeler accessories, etc. Among the abovementioned categories, tools remained the biggest at this year's IHF Cologne by both exhibitor number and exhibition area, largely laid out in Hall 1 to 4 and 10. Mostly concentrated in the Taiwan Pavilion, the island's top-caliber hand tool makers were on-hand, including A-Kraft Tools Manufacturing (tool sets), Proxene Tools (adjustable wrenches and ratchet wrenches), Redai Precision Tools (socket wrenches and spanners), Eclatorq Technology (digital tools), Lu Kang Hand Tools Industrial (hammers), Lee Yeong Industrial (power tools), Mobiletron Electronics (auto repair tools), Yih Cheng Factory (screwdrivers) etc. Also notable was the rapid, convenient and reliable online ordering and sales service systems displayed in Hall 1 to 3 and 5, where space was mostly occupied by companies of the fixing and fastening technologies, building fittings, furniture fittings and decorative hardware, a growing trend, due to the reality that fastener retailers are increasingly prone to restock in small quantities and frequently, hence the rising popularity of online sales. The biennial show also received high accolades for holding concurrent events to make participants' visits even more worthwhile. This year's concurrent events included EISEN 2014 Innovation Award and EISEN 2014 CSR (Corporate Social Responsibility) Award, where the world's best innovation and high-profile industrialists from targeted sectors were honored; and Speakers' Corner, BME Buyers Day and Expert Talks, where speakers provided insights into the latest market and industrial trends. Besides, with additive manufacturing increasingly a buzzword in industry, a special concurrent show for 3D printing was also popular with visitors. Various concurrent events were held to add to the show’s profile. 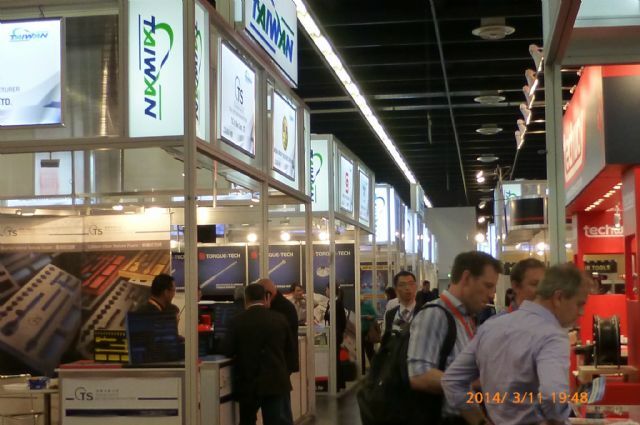 Taiwan Again Obvious Presence Taiwan, with recognized manufacturing prowess globally in hardware products over the past decades, remained a high-profile presence at IHF Cologne 2014. Some 403 Taiwanese exhibitors took part in the show, organized by Taiwan External Trade Development Council, Taiwan Hand Tool Manufacturers' Association and Importers and Exporters Association of Taipei. To further make an impression, TAITRA joined hands with THTMA to set up a special area for showcasing 110 new products, including hand tools, locks, auto repair tools, garden tools and DIY supplies, from 76 Taiwanese suppliers. The first day of the show drew hundreds of buyers, mostly impressed by eco-friendly, ergonomic, lightweight, digital and multifunctional features, which helped to create promising business opportunities between Taiwanese suppliers and international buyers. Taiwan Pavilion was crowded with buyers interested in the island’s top-caliber products. A regular participant in IHF Cologne, China Economic News Service (CENS) was kept busy handling a constant influx of inquiries from global buyers interested in Taiwan's world-caliber suppliers at its booth in the Hall 3.2 during this year's exhibition, also being business matchmaker through its buyer guides and services. 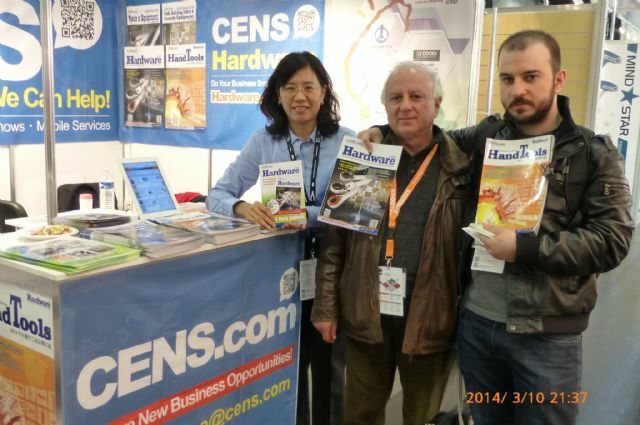 CENS's publications on display included the March 2014 issue of the CENS Hardware and Guidebook to Taiwan Hand Tools 2014. Both the magazines were sought-after by buyers, for the March 2014 issue of the CENS Hardware touched on Taiwan's high-quality power tools suppliers, the current development of the island's fastener industry and a large number of top-caliber companies from related sectors to enable easy access to Taiwan's hardware industry, while Taiwan Hand Tools 2014 collected hundreds of Taiwanese suppliers of hand tools as an extensive buyer guide.